Optical Women's Association - Meet Lorie L. Lippiatt, OD! Meet Lorie L. Lippiatt, OD! Optometrist/President at The Salem Eyecare Center, Inc.
Go for it! Always look ahead and have confidence you can achieve everything you are passionate about. 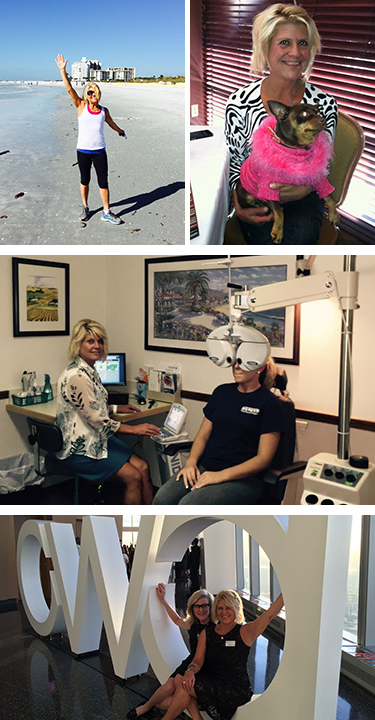 The opportunity I had to start my own Eyecare practice, build a strong team of women staff members, and serve our local community for the past 27 years. I love being involved in the optical industry, especially the OWA! Anything from Brian Culbertson. I can think more clearly listening to soft jazz. Surround yourself with people that you want to be most like. Be quick to listen, slow to speak, and slower to criticize. Get involved! Want to connect with lots of great members like Lorie L. Lippiatt, OD? Join OWA Today!